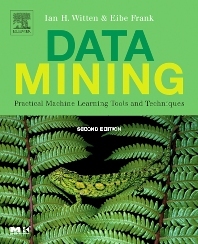 Data Mining, Second Edition, describes data mining techniques and shows how they work. The book is a major revision of the first edition that appeared in 1999. While the basic core remains the same, it has been updated to reflect the changes that have taken place over five years, and now has nearly double the references. The highlights of this new edition include thirty new technique sections; an enhanced Weka machine learning workbench, which now features an interactive interface; comprehensive information on neural networks; a new section on Bayesian networks; and much more. This text is designed for information systems practitioners, programmers, consultants, developers, information technology managers, specification writers as well as professors and students of graduate-level data mining and machine learning courses. Professor, Computer Science Department, University of Waikato, New Zealand.